In this hour-long illustrated slide lecture, structural engineer Donald Friedman highlights the sections on high-rise history from the updated edition of his classic text. Slideshow hosted by The Skyscraper Museum. 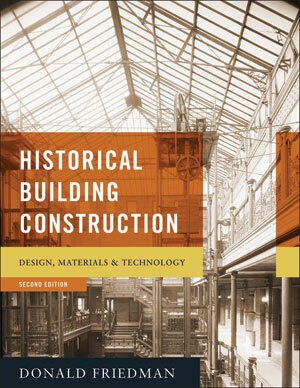 Winner of the Association for Preservation Technology (APT) 2012 Lee Nelson Book Award, this book is an updated edition of the classic text detailing the ins and outs of old building construction. 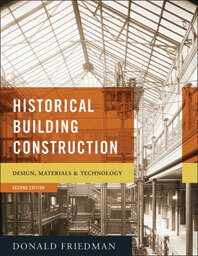 A comprehensive guide to the physical construction of buildings from the 1840s to the present, this study covers the history of concrete- , steel- , and skeleton-frame buildings, provides case histories that apply the information to a wide range of actual projects, and supplies technical data essential to professionals who work with historic structures.